This week we thought we'd do something a little different for this column. We're excited to welcome Irene Watson of ReaderViews as our guest blogger. Irene has some great pointers about entering book award contests. Enjoy! Do Book Contests Help Sell Books? Some book contests are notable enough that an award will increase book sales. Other contests charge exorbitant fees and winners receive little attention. Authors may feel overwhelmed by today’s plethora of book contests. Here are a few tips on which ones to enter and how to spot contests to avoid. Entry Fees: If there is no entry fee, you have nothing to lose except the postage and book cost. Enter the contest. That said, most legitimate contests do charge fees, and the fees are small recompense for the hours the judges put into the contest. If it’s in your budget, enter contests you can afford that appear legitimate and you feel you have a likelihood of winning. National: National contests are stiff competition, but the greater the competition, the more important the award. If your budget permits, give the contest a try. Regional: Local contests provide greater chances of winning and some have funding so entry fees are minimal. 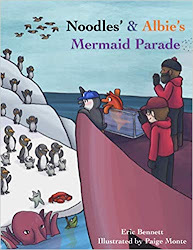 For example, the Library of Michigan has no entry fee for its annual Michigan Notable Books Awards, given to twenty books that highlight Michigan People, Places, and Events. Beyond the award, the Library of Michigan actively promotes the books throughout state libraries. Another well-known regional contest is the Midwest Independent Publishers Association Awards. Many local writer and publisher organizations also hold awards for their members such as the Society of Midland Authors. Independent: For self-published authors, these contests are the best place to start getting notoriety for your book. 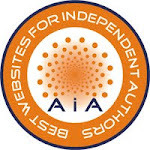 Good choices include the IPPY (Independent Publishers Association Awards) and Reader Views Literary Awards. A contest that is not legitimate does not mean it fails to give out awards, but it might mean that everyone receives an award, in which case, sadly the awards are of no real value. 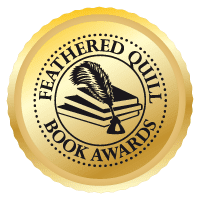 Contests of this nature often tend to give out so many awards simply to sell award-stickers so they can make a profit off the authors, not to mention off the entry fees. And worse—they may not even read those multiple copies you submitted for review, and yes, worse still—they might sell your books online and make a profit off them. One of the best ways to spot a legitimate contest is to see whether on the awards contest’s website there are details provided about how the awards are judged. There should be at least a couple of tiers of judging to determine the winners. For example, Reader Views will announce its three finalists in each category, based on its readers filling out award score sheets. It will then submit those three finalists to a new group of judges to determine, first, second, and honorable mention prizes per category. As well, reviews are provided of all books submitted for the awards program. Contests should provide all this judging information on their websites and in their calls for entries. Another example is Nautilus Book Awards, which describes in detail its three-tier judging process on its “How Winners Are Selected” page. If you really want to enter a contest and believe it is legitimate but do not see details on how the awards are determined, feel free to email the contact person with your questions. If you don’t get a timely response, move on to looking for a different contest. Once you win or become a finalist, send out press releases. Few people are going to know about the award if you don’t tell them—contact especially any writer or publisher groups to which you belong, and local media—newspapers, television, radio—and let your email newsletter subscribers know as well. Many contests will give you a small number of free stickers to put on your books and most will sell you stickers—buy them to impress readers and sell books. You might even get an imprint of the award sticker to put on the cover for future printings to save on buying stickers. Make sure you let the local bookstores also know about your award and give them copies with award stickers so they can prominently display your award-winning book. No one can successfully measure how well book awards sell books—but the more willing authors are to spread awareness that they have won awards, the more likely the books will get more attention, sell more copies, and stand out on bookstore shelves. The following list is short and only the beginning. Be sure to search online and in magazines like “Poets & Writers” for dozens of more opportunities. Irene Watson is the author of the award-winning “The Sitting Swing: Finding Wisdom to Know the Difference.” She is the managing editor of Reader Views, one of the most respected and fastest growing online book review and author publicity services today. 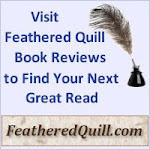 For more information visit www.ReaderViews.com.